A special edition DVD box set for staff working with children aged three to five. For older children, movement and physical development is an intrinsic part of their learning experience. It is closely linked to their social and behavioural development and nowhere is this more evident than in the outdoor environment. In this DVD set we show how important the natural world is and how it can stimulate children to investigate, interact, make connections and create new ideas. In the right outdoor environment, learning can occur at a very deep level so this film will show how you can creatively adapt your space suit your needs. 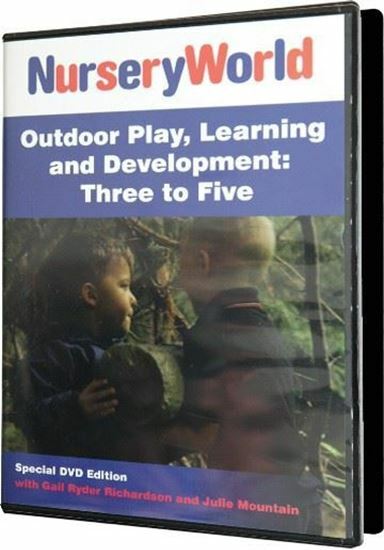 Inspired by in-depth research, each box set contains two DVDs featuring a variety of outdoor nursery settings with children and practitioners engaged in high quality outdoor learning and play. The accompanying commentary will motivate you to evaluate and improve your own provision.